Kristen Coffield is the founder and owner of The Culinary Cure, a consulting business and information website dedicated to helping people take charge of their health. Kristen is a passionate advocate for food as medicine, health navigator and wellness coach. She reinvented her life one bite at a time and is now mission-driven to help others do the same. As an educator and “kitchen interventionist,” Kristen inspires people to harness the power of food and habit, take control of the controllable, and live healthier, happier lives. She believes a largely plant-rich diet holds the key to enhanced wellness and disease prevention; and that creating powerful culinary habits can profoundly influence health, happiness, and longevity. The Kitchen Intervention is Kristen’s signature program for addressing the root cause of peoples frustrations with shopping, cooking and eating healthier. It is a process that reboots the kitchen to be a powerful partner in wellness transformation, eliminating useless habits and mindsets around food and cooking, and creating new health-supporting ones. Kristen has developed a signature Simple 7 Day Eating Plan that is not complicated, expensive or hard to follow. The Simple 7 Day Eating Plan is a stepping stone for creating positive life changes. It focuses on eliminating habits that do not serve the body and soul and replaces them with life-supporting habits that do. The Culinary Cure book and online Master Class will be available in the summer of 2019. The book and class are designed to empower individuals with the knowledge and tools to take control of their wellness in a world of overwhelming information. Kristen has a series of corporate wellness programs designed to help busy professionals improve their health habits. 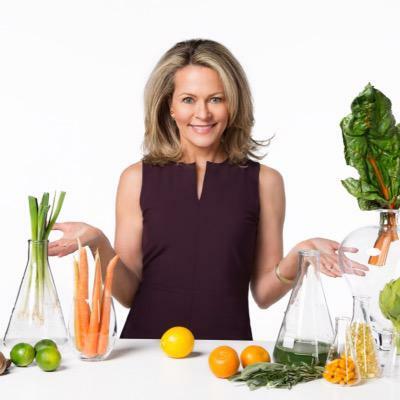 Kristen has a regular appearance on Good Morning Washington, ABC7, where she inspires and motivates viewers to take charge of their health with easy plant-rich recipes and nutrition tips. Kristen ’s articles, videos, and recipes can be found on her website, The Culinary Cure ( theculinarycure.com ). She has been featured in DC Refined, Great Day Washington, 7 On Your Side, and in multiple publications and podcasts. Kristen is an author, educator, and speaker who wants to inspire you to create habits that support a healthy life.